Hero Honda Karizma, India's one of the most popular premium motorcycles brand, which is selling by the country's biggest two-wheeler producer, Hero Honda. 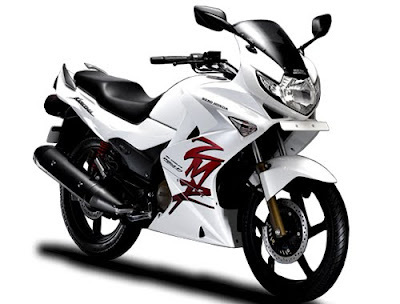 The company had introduces Hero Honda Karizma R in May 2003. 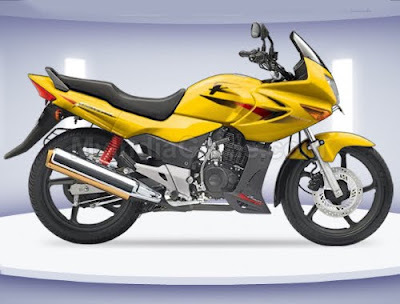 The Karizma R is continuously getting overwhelming response from the Indian buyers. But the beginning of Karizma R was not more effective. After getting huge success from the India auto market, the company was introduces an improved version of Karizma, called as Karizma ZMR Fi. The new Hero Honda Karizma ZMR looks much larger than the existing version of Karizma. The most popular premium motorcycle brand specilally designed for the Indian market by the country's major auto maker, Honda. The styling of Karizma is inspired by Honda VFR800. The new version of Karizma looking little bit different than the Karizma R. The new model is additionally packed with fuel injected, Oil cooled, fully digital console, new graphic and more, which makes it more stylish and comfy. It comes loaded with 4 Stroke Single Cylinder OHC, Oil Cooled, PGM Fi machine which is offering awesome power output of 17.6 Bhp at 7000 rpm, which is slightly more than Karizma R. The torque of Karizma ZMR PGM Fi is producing maximum output of 18.35 Nm at 6000 rpm with its 223cc displacement. The new generation Karizma is available with Self Start option only. The Hero Honda Karizma has been creating their strong position in the premium bike segment of the country. Presently, the demand of Karizma ZMR PGM Fi is quickly increasing in the auto market. It also getting tough competition with Bajaj Avanger 220, Yamaha YZF R15, Kawasaki Ninja 250R, etc.